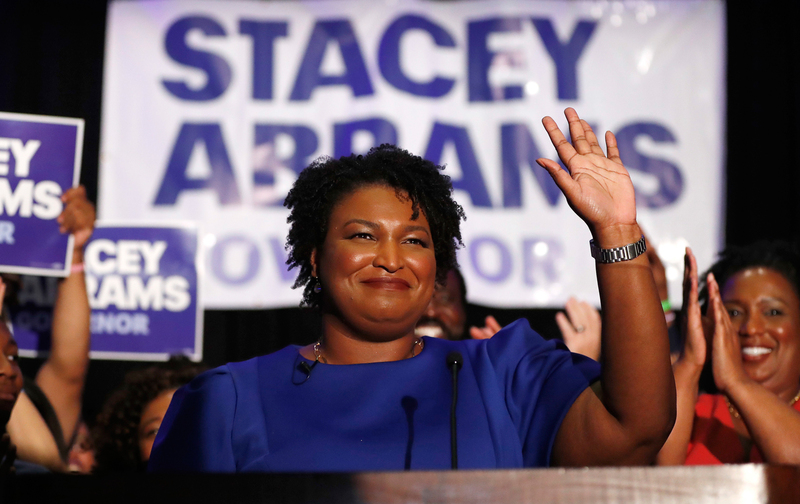 Stacey Abrams was the first Black woman in American history to be nominated by a major party for governor. She lost the election for governor of Georgia by 54,000 votes out of almost 4 million. In 2020 she may run for the senate, or for president. Her new book is Lead from the Outside. This interview has been edited and condensed. Listen to Stacey Abrams on the Start Making Sense podcast. Jon Wiener: Everybody I know says that if there’d been a fair count in the Georgia election, and no voter suppression, you would be the governor of Georgia right now. But you did accomplish some amazing things in that race. Stacey Abrams: We received more votes than any Democrat in Georgia history, including President Obama, or Secretary Clinton, or any Democrat who’s ever run. We tripled Latino turnout, we tripled Asian Pacific Islander turnout, we increased youth participation rates by 139 per cent, we increased black turnout by 40 per cent. To put that in context: in 2014, a total of 1.1 million Democrats voted. In 2018, 1.2 million black people voted—for me. We centered communities of color, we centered marginalized communities, we talked about their issues, and I was told that that would be to the detriment of my ability to secure white votes. But I actually received a higher percentage of white votes than any Democratic candidate in Georgia since Bill Clinton. JW: How did you do it? SA: One thing is that I believe what I say. I believe diversity matters, and I think I have an active responsibility to make it happen. Our campaign was grounded in talking about identities, but never as an exclusionary principle. People vote, people participate when they think they can be seen, and my job was to show up in places to gain firsthand knowledge of their issues, and to have a supporting team that could help me understand what concerns were animating those communities—or worse, what concerns were keeping them out of the body politic. We built a campaign around creating access and creating a pathway for their participation, and it worked. JW: The work that went into this wasn’t just one campaign for governor. SA: No… I’ve spent most of my waking life thinking about how you get more people to the table, how you get more people engaged. In the last 20 years, I’ve been able to put that into practice through my work in the private sector, the nonprofit sector, and certainly in the political sector. Dismantling old systems and creating your own new ones requires intentionality—and infrastructure. I started a voter-registration organization, the New Georgia Project, in 2013; by the end of 2018, we had registered more than 300,000 people. JW: In your book, Lead from the Outside, you talk about how to fight for groups of which you are not a part. Of course, we have to do this because we need allies if we’re going to win, but it’s hard to do it right. You say that empathy is not enough. SA: Sometimes empathy gives us an excuse. It lets us think that, because I have something similar in my background, I know what you know, and I know what you need. That becomes patronizing. What’s more important is creating space for the people who actually have those experiences to do something about it. For example, when I became Democratic leader, I knew that the state was quickly diversifying, that Latinos were becoming nearly 10 percent of the population, that Asian Pacific Islanders were growing in force—so I had a responsibility to increase their access. Initially I created an internship program to bring them on board, and then I found the money necessary to hire them. I hired a young Palestinian woman to be my executive assistant, because I could not speak authentically about engaging the Muslim community and not find space for their appointment. These are all people who are absolutely qualified for the jobs, but I had to be intentional about creating space so they had a platform. JW: After you accomplished all these things—the huge increase in turnout of Latinos, Asian Americans, young people, after you got more votes than any Democrat, including Obama—how come the Republican won? SA: Because I was running against a cartoon villain who was the referee, the scorekeeper, and the contestant. He had 10 years of voter suppression under his belt. He had built a system on top of previous attempts at voter suppression that had started under his predecessor. He manipulated the laws aggressively. He also failed to do the fundamentals of his job. So we had a marriage of incompetence and malfeasance that allowed him to suppress access to the vote. I cannot prove empirically that I would have gotten every one of the votes that were suppressed, but if you look at the demography of those votes, and if you look at the intentionality of his actions, I think it’s a really good guess. JW: And so you formed Fair Fight Action. SA: Fair Fight Action was born of my frustration, my disappointment, but also my anger. Democracy is ours. I am an American, I am entitled to have my voice heard. But so were the millions of people who cast their ballots on both sides of the aisle, and the tens of thousands who were not allowed to have their voices heard. My responsibility beyond getting into office is ensuring that anyone who wants to speak up about the direction they want to see for our state or for our country, that they are heard. In Georgia, they were not. So I want there to be a fair fight. Let’s be clear, no matter what happens, I will never win the office of governor in 2018. It won’t happen. But my responsibility is larger than my personal benefit—it’s to see that we fix the system itself. Fair Fight Action focuses on three things: registration access, ballot access, and ballot counting. Making sure that you can get on the voter rolls and can stay on the rolls. Making sure you have the ability to actually cast a ballot—that they don’t close your precinct, or deny you access to an absentee ballot. Making sure that your vote counts once you cast it. We’re going to do that through litigation in the federal courts, through legislation, and through advocacy work. JW: Where do we stand on the litigation today? SA: We are currently in a fight in US District Court with the secretary of state and the governor’s office. We believe that the de facto denial of the right to vote violates the Constitution. They are seeking to dismiss our lawsuit. I’m very bullish on our chances. And I’m also happy that we have other folks fighting this fight. Chairman Elijah Cummings, who is the chair of the Oversight Committee in the House of Representatives, has demanded documents from the Georgia secretary of state and the governor to investigate their bad actions. So whether it’s through litigation or legislation, I think we will be successful at some point. JW: What about those voting machines? SA: We have been fighting a terrible bill that has moved through the Georgia legislature and sits on the governor’s desk. It will allow him to spend $150 million, more than has ever been spent by any state on voting machines. He’s likely to purchase machines that are known to be flawed, known to be vulnerable, known to be hackable. They’ve been called the worst voting machines out there. It is a happy coincidence that the company that stands likely to win the bid formerly employed his deputy chief of staff and his general counsel just months before he became governor. JW: I’ve heard that Georgia isn’t the only state with problems with the right to vote. 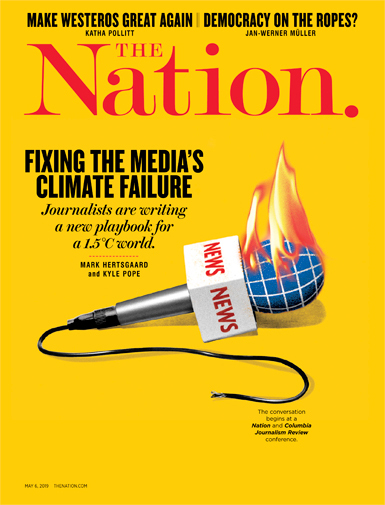 What’s your sense of the national picture right now? SA: Georgia had not only the most singular example of voter suppression, but it’s the most directly connected to victory or loss in an election. Voter suppression is real, it’s endemic, it’s pervasive, and it’s been around forever. We know that in North Dakota in 2018, people were denied the right to vote because they were Native American. We know that in 2016, if you lived in Wisconsin or Michigan, there were efforts at voter suppression that were incredibly successful. We know that in Florida there is a perennial issue with whether or not votes count. We know that in Texas voter registration, which is the predicate to being able to cast your ballot, has been made nearly impossible—by third parties. In North Carolina it’s been made very difficult. Across the country there are methods of voter suppression that are insidious and almost invisible to the eye unless you’re the person trying to vote. My responsibility is to use Georgia as an object lesson. SA: There are a lot of leadership books out there, and a lot of political memoirs. I didn’t want to write either of those. For me this was really about enlarging the army of people who can be successful, especially those who discount themselves before anyone else can. When you’re on the outside, I believe that if you can find a doorway, your responsibility is not to rush to get the next thing you need. Your job is to turn around, open that door, and tell folks, “Here’s where it is, come on through.” That’s what I tried to do.